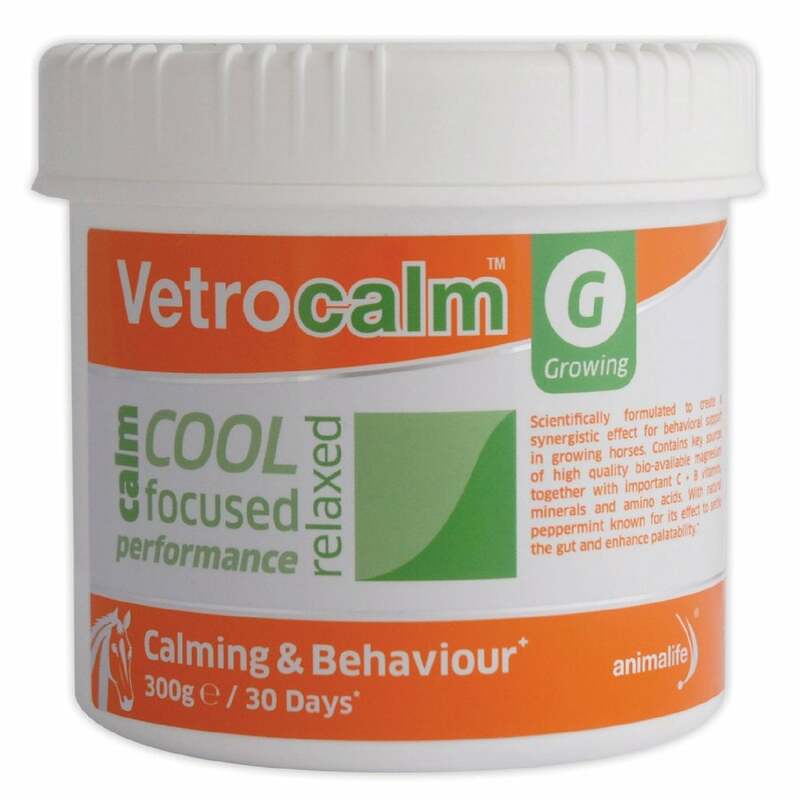 Animalife Vetrocalm Growing contains concentrated bio-available ingredients at specific ratios that are shown to support calming and relaxed behaviour in growing horses, including magnesium, tryptophan and other important acids. Ideal for young and growing horses to help manage excitability, tension, aggression and spookiness that can arise due to new situations such as traveling, competitions and training. Easily digested with natural peppermint known for its effect to settle the gut and enhance palatability. Vetrocalm Growing is free from banned substances.